September 19, 2016 by Emily Brees 1 Comment - This post may contain affiliate links. This was my situation this weekend. I know, horrible, right? 🙂 There was only one thing to do – start baking! 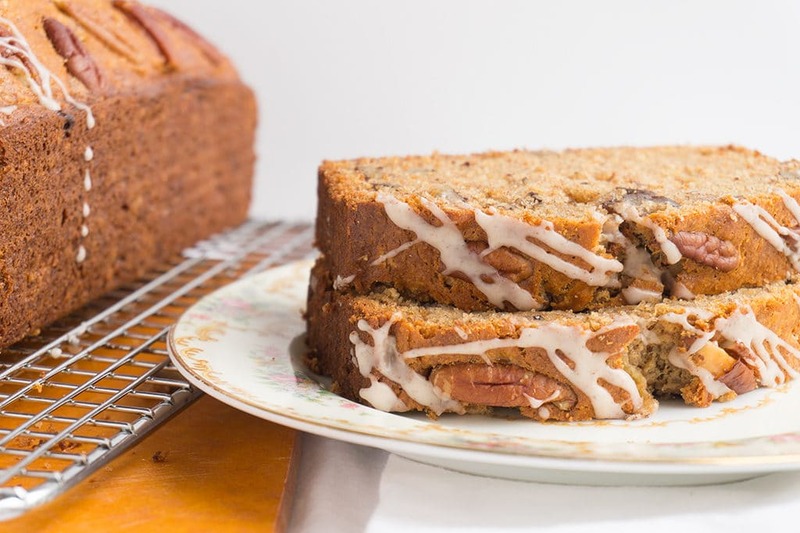 Banana Bread Gets a Fall Makeover with this Pumpkin Spice Banana Bread! 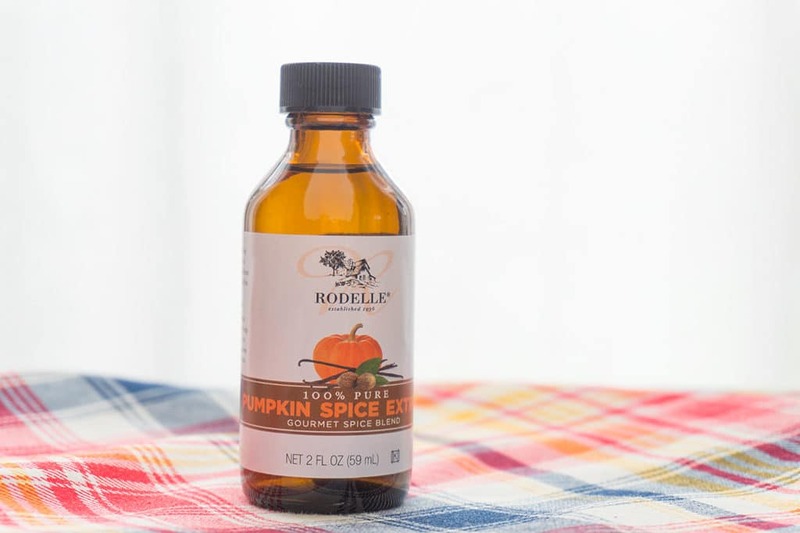 I have a special bottle of pumpkin spice extract in my pantry and this was an opportunity to give it a spin. I know you’ll be on board with this delicious decision! This fall inspired riff on banana bread is light, tender and not too sweet. Using a flour mixture that includes spelt and oat, this bread is packed with whole grains + extra nutrients! 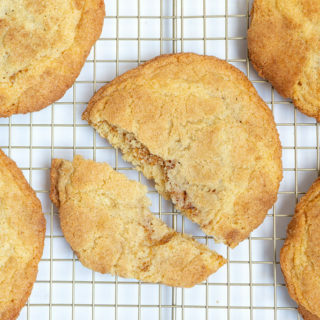 Both great flours to mix with all-purpose for better flavors and texture. 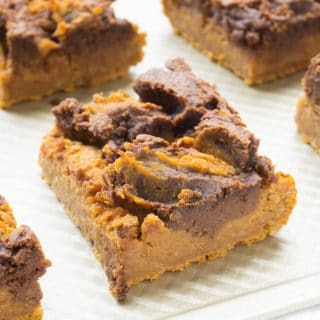 Top it off with a simple Pumpkin Spice Drizzle to seal in the fall flavors and add a hint of extra sweetness. However, I had an alternate plan. What is this master scheme you may ask? Well friends, we are going to french toastify this beauty. That’s right, Banana Bread French Toast. You see, while visiting Austin, brunching at South Congress Cafe, carrot cake french toast was on the menu. Of course, I ordered it. The texture was very light and that is key. 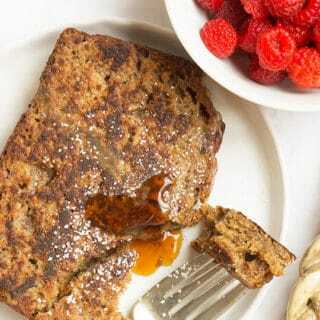 You can’t make french toast out of dense banana bread, so this recipe is perfect for this job. Slice it, toast it, slather it with jam or butter. This bread is the perfect fall treat. 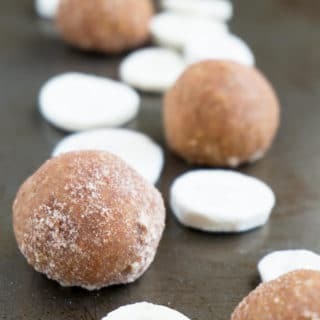 Or take it even farther and save yourself a few slices for a real breakfast treat! This fall inspired, pumpkin spice banana bread is light, tender and not overly sweet. 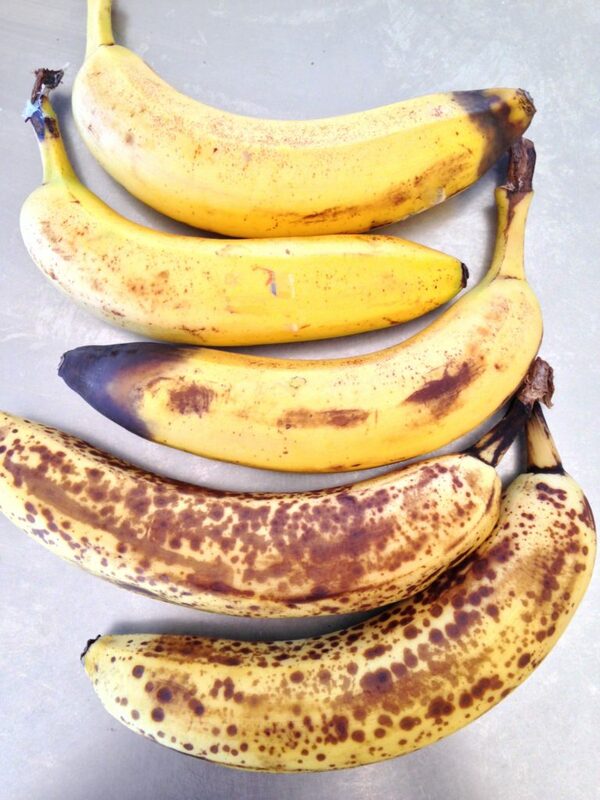 The best part is using it all week to make yummy banana bread french toast! Once the bread has cooled to room temp. 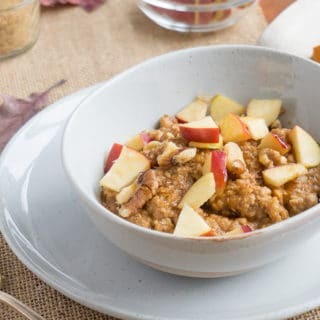 Prepare the Pumpkin Spice Drizzle by combining all ingredients in a small bowl, whisking until smooth. Drizzle over the top. Follow me on Instagram, Twitter, Facebook, and Pinterest to get the latest! 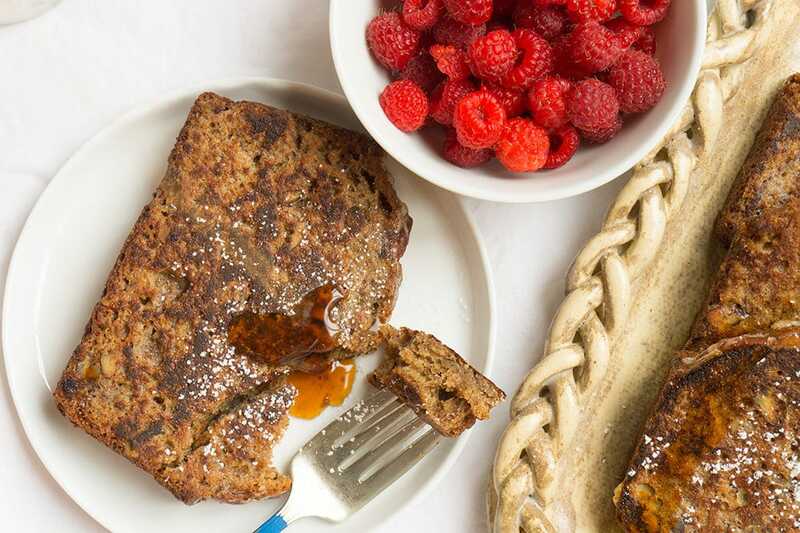 Take your favorite banana bread and turn it into french toast! In a shallow pan, mix milk, spices + zest to distribute evenly. Add egg and whisk until incorporated. 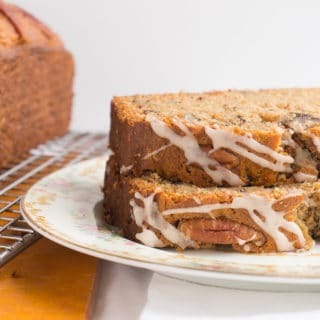 Dunk thick slices of banana bread, coating each side. Place on a hot, greased griddle and toast each side until nice and brown. About 3 min per side. I love banana bread and it has a pumpkin spice kick, just in time for Halloween.